The Disabled Afloat Riverboats Trust (DART) are a registered charity providing holidays along the Kennet and Avon canal through Wiltshire and Berkshire on specially equipped, wide beam canal boats for those with a range of disabilities. Carers, family and friends are welcome aboard. 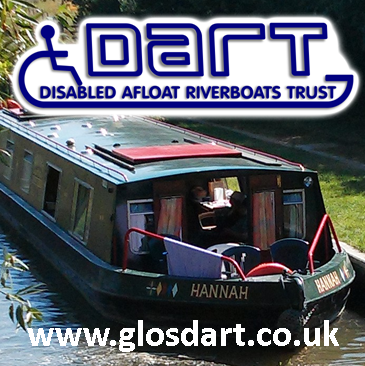 For most groups, the boats are crewed and operated by experienced volunteers. Meals and support are also provided.